Whenever we have guests coming over to visit, I am sure the dilemma of everyone remains the same: where can we bring them? What can we do to entertain them? One of the things I love about Malaysia is the abundance of tea time treats from different kinds of places. The British influence does have its perks -- and this is something we don't have in Manila. Tea time treats like these are not very common. Though tea time or "merienda" (thanks for the Spanish influence) is less classy, it does exist. 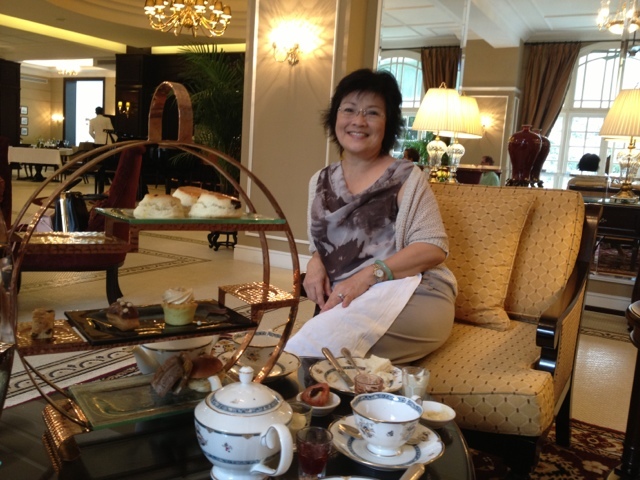 So when a friend of mine treated us (me and my mom) to tea time at Majestic Hotel, I was happy. Finally after hearing much about this place, I could check it out for myself. The ambience of the hotel is impressive and classy -- very much in the same tune to the other YTL resorts we have visited. It does have its old elegance feel, and what makes it different is that it is still fresh and new. 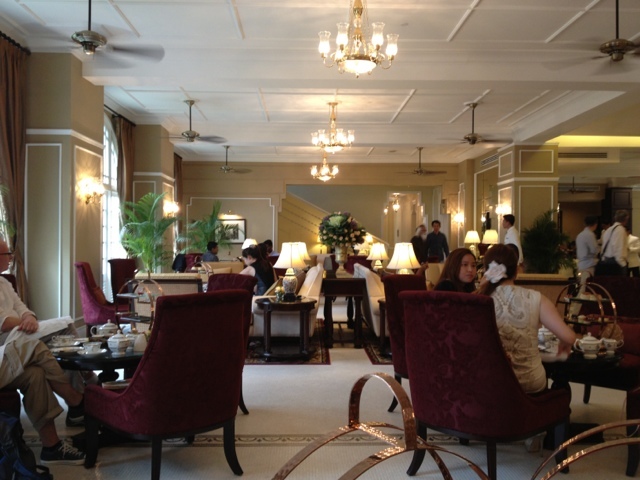 You will notice everything is still very freshly done -- unlike the run-down feel of Cameron Highlands Resort. Their service attendants are attentive enough -- I would not say super or out of this world -- then again, we are in Malaysia. It was good, but not the extreme "WOW" factor (in my opinion). 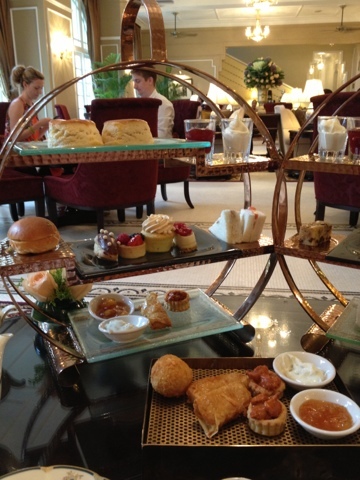 The food was okay -- again, I would not say everything in the tea set menu was out of this world. It was okay. The waiter even rushed back to our tea set, because they somehow forgot some of the cakes as we ordered total of 3 sets for 3 people. 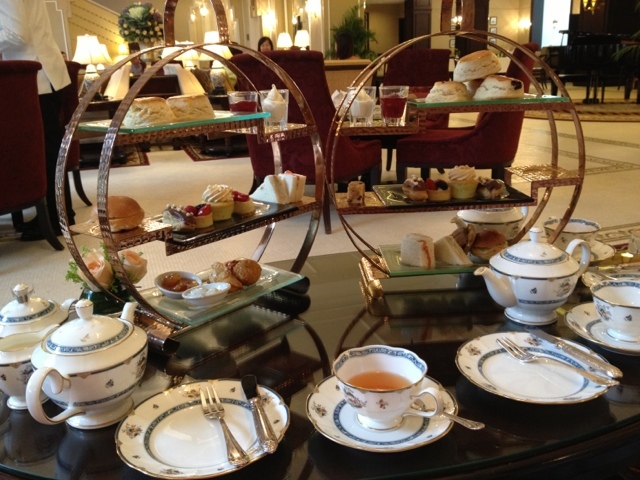 The tea served was the Cameron Highlands tea. It was once again, okay. I guess I should not expect superb high quality tea like TWG? Or maybe I should have asked for other types of tea (if it was available), but I was too caught up with the exciting conversation with my friend. The waiter basically said "Cameron Tea okay?". Would have appreciated if they offered other types of tea. Also at some point, I had a hard time calling the attention of some of the waiters -- and one Indian waiter or maybe he wasn't a waiter -- I tried to call his attention, he saw me, but decided to ignore me and just walk past. Perhaps he was just passing by, however, for such an establishment I would have thought they would be more service-friendly. On another note, what made it wonderful really was the ambience and the company -- we had a wonderful & great time chatting the time away. Later on, someone came to play the piano, which provided an even better ambience. They have this orchid room which is very beautiful. You need to reserve it at least a week in advance to be able to sit in that room full of beautiful blooms. We didn't get to stay there, though I snapped a photo of it. Perhaps if you have a very important guest, you can reserve this one to really impress! A while back, I saw some of the Facebook comments of friends who complained about the Majestic Hotel not allowing them to take-away the left over food. I cannot recall which friend exactly but I do recall seeing that complaint at least twice. So, I still tried my luck in requesting to pack the left over food. 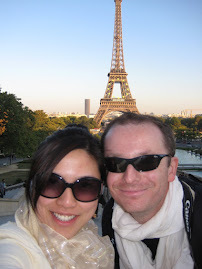 They did it for us, however: it was just put in a brown paper bag and they did not put all the pastries. The guy did explain that some of the pastries are not allowed to be packed due to its concern on freshness. I guess I expected a little bit more finesse in packing the food for such a place. I didn't get the chance to find out the price of the tea time. It was a good experience and would perhaps try again if I had guests coming over. I feel it is the equivalent experience of my last visit to Carcosa Seri Negara, except that the Majestic Hotel has a "newer" feel to it. 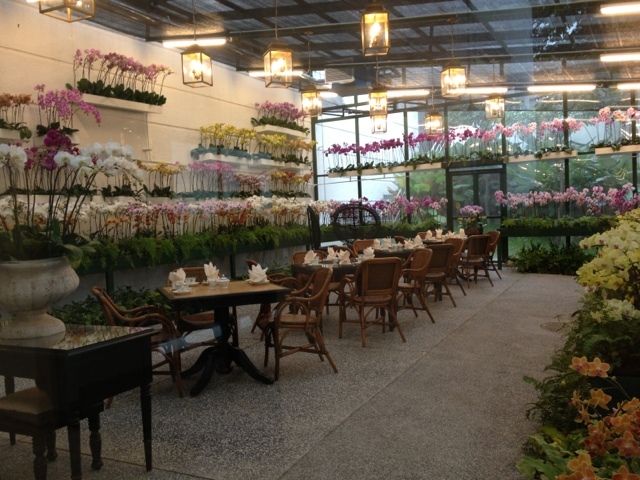 Orchid Room where they have only 4 tables, need to book way ahead!